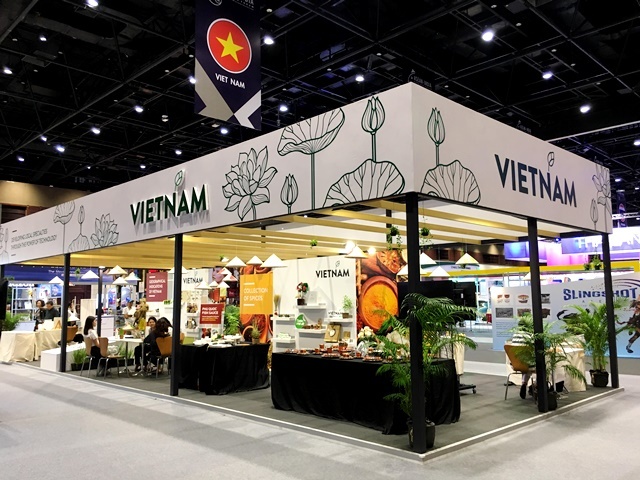 From this August 2nd ‘2017 to August 5th 2017, in the ASEAN & India International Fair held at the Queen Sirikit National Convention Center (Bangkok, Thailand), some Vietnamese special spices and seasonings displayed at the National Common House attracted attention and interest of international enterprises and visitors. 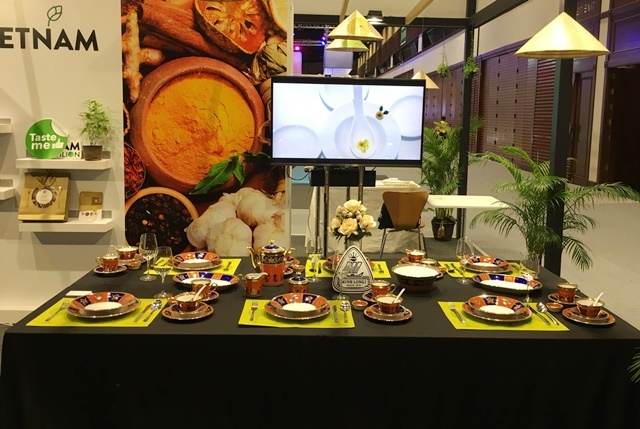 That was the first time that Vietnamese spices had a chance to thrive in front of international audiences. ASEAN & India International fair 2017 was first time held in Thailand. 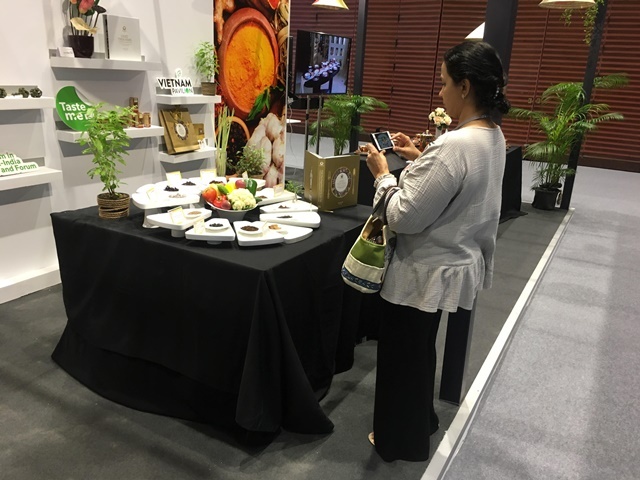 This was the largest trade promotion program in Thailand, gathering nearly 160 booths from India and 11 other Asian countries. 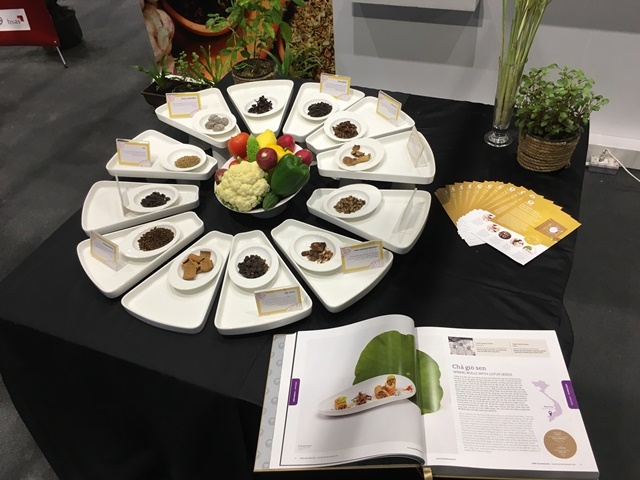 In line with the delegation of Vietnam attending at in this fair, in addition to the integration-standard-qualified products of 10 domestic enterprises in 6 different sectors as food, agricultural products, household goods, The organizer of The Golden Spoon contest (a contest organized by Minh Long I Company) also introduced a part of their collection of Vietnamese spices including Indian curry fruits, mắc-khén or Indian pepper (Zanthoxylum rhetsa), Doi seed or wild Northwest pepper, Chay fruits (Artocarpus tonkinensis), Lolot pepper, Hibicus flowers, fennel seeds, aniseed flowers, cinnamon, cardamom, and shiitake mushrooms. Those were interesting spices that the Organizer of TGS collected through annual contests from 2013 (topic Tastes of Homeland). The relentless journey has placed its steps all over the country - from plains to mountains, from midlands to islands – to seek and discover good food, to decode exotic odd spices in order to complete the map of Vietnamese spices, and to bring Vietnamese cuisine to the world. 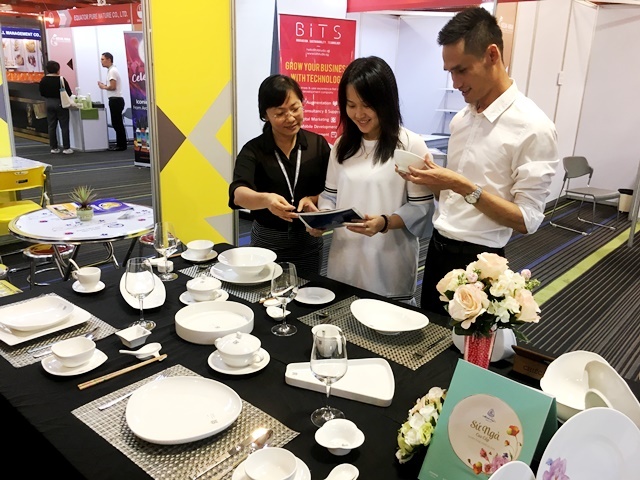 Besides, during the fair, The Golden Spoon Contest Organizer also displayed their book 1st The Golden Spoon & The Quintessence of Vietnamese Cuisine (version Vietnamese – English). This is a selective collection of 50 great dishes, which were chosen from about participating 1000 dishes through the 1st contest in 2013. Containing hearts and souls of all the crews, chefs, and attendants, the book just simply deliver the quintessence of Vietnamese cuisine.